Wolfram Alpha Provides Semantically Richer Results than Google? Many people may not have heard about Wolfram Alpha but it is a computational search engine which provides answers and results to users queries by computing values. Interestingly, Wolfram Alpha provides accurate results even better than Google for user queries involving computation of any kind. 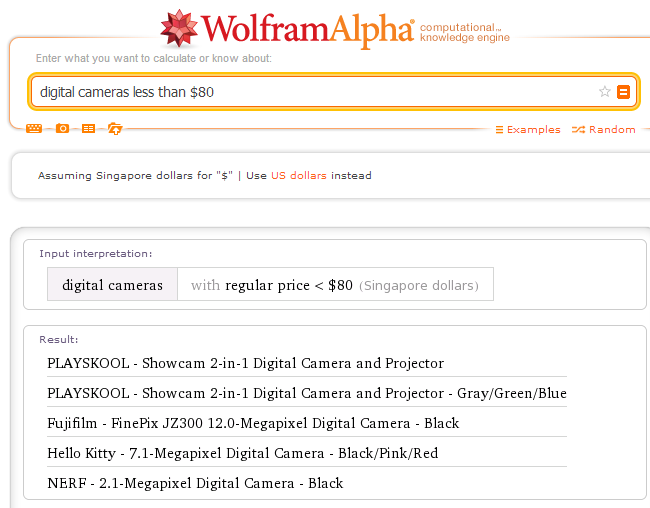 As for example, If I enter the query "digital cameras less than $80" on Wolfram Alpha, I get a list of all the products along with their brand names and prices. You can click on the products and visit the website where the product is sold. When I enter the same query on Google, I receive references to website where discussions or lists are present. What's strange is that, I also see an ad selling camera for over $100 for my query that specifically asks for cameras under $80. How Does Wolfram Alpha computes the answers? 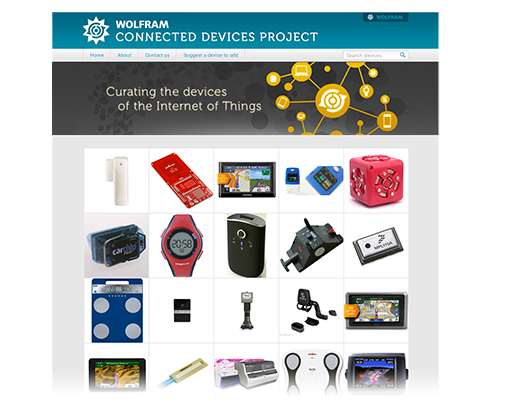 Some of the important modules are linguistic analysis, curated data, dynamic computation and dynamic presentation.It also recently launched a connected devices project that will enable Wolfram Alpha to provide computational results for all sorts of device. Wolfram Alpha manitains a huge database of objects and runs several specialized algorithms for computing the results. Google probably achieved in making the Black Hat SEO's realize the importance of natural links. One after the other it penalized or devalued most of the link building strategies that were generating spam in the search results. Spam is something which Google fights 24*7 and updates like Penguin is a direct response from Google to combat web spam. Recently Google penalized link networks like Buzznea, Ghost Rank 2.0, Backlinks.com, Sape Links etc. 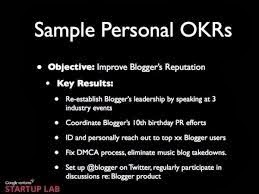 All these networks established relationships between advertisers and site owners in order to provide text links by paying bloggers and site owners money in return for a keyword rich do follow text link. Buying and selling Page Rank is an activity that is against Google's guidelines. These link networks made a lot of money and had remain in existence for years together before they were spotted and taken action upon. Link building using article marketing has long been a useful link building tactic for link builders but rise in spammy articles forced Google to penalize sites having a higher percentage of low quality links from article content farms. The situation that stands now is that this link building technique is of little to no value now. Guest Posting if used as a lone strategy for building backlinks can activate Google's spam filters. Guest posting should not be done for gaining backlinks. Matt Cutts recently confirmed this in a blog post. Most of the comments have been marked as no follow and leaving comments just for the sake of getting backlinks will increase spam on the web and nothing else. Bookmarking on popular sites was a good strategy for building links in older times but the current semantic search scenario demands more than just backlinks. Hence, bookmarking should not be used as a link building strategy. As said in this post, all forms of link building strategy is considered unnatural by Google. This is absoutely TRUE. If you don't believe me today, you will regret later. There is no strategy which can be said as "White Hat Link Building Strategy" because if you are building links for yourself then that link is of little value. What remains now is link earning and citation earning. So, how do we do that? Please read the below posts in order to learn more about link earning and citation building. New sites that provide a better user experience have every chance of taking over the older domains. The older domain should continue to evolve and adapt every time. Just because you are a domain that has been established and has been from quite a long time does not mean you will automatically keep ranking. For older domains it is necessary to take a fresh look in your layout in order to provide the best user experience. Something that is fresh and is of value to the end user matters more to Google as compared to the one that has grown stale and has not been updated from a long period of time. Some of the new domains have fantastic designs, people might prefer migrating to the newer domains leaving the older domains. Seo is changing and Google is getting updated to semantic web. How well are you prepared for it? In order to get yourself prepared and take on the new SEO challenges related to semantic search, it is necessary that you keep yourself updated by visiting the resources specially related to semantic web. This post shares the 5 best resources that you must read in order to keep yourself updated related to the technicalities of semantic web. W3C Data Activity - The W3C home page for discussing about the data activity and building the web of data. 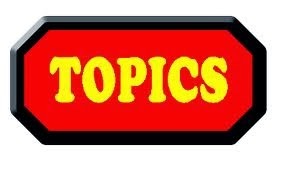 Semanticweb.com - An ideal website sharing news and events related to semantic search. Semanticweb.org - A Wiki containing all the information related to semantic web. You can contribute to this Wiki and make it even more comprehensive. Semantic Web Journal - A journal that shares excellent ways to share information in meaningful ways. Semanticfocus - A blog dedicated to the community of semantic web enthusiasts. 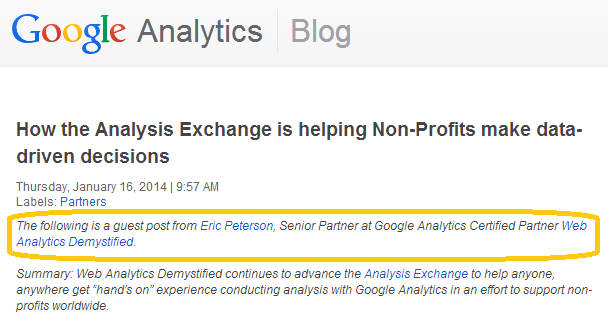 Spammers beware as guest blogging as a way of link building is under scrutiny by Google. Low quality and unnatural guest posting activities carried on a large scale by spammers or forms of unnatural, unthematic, paid guest posting are set to get penalize soon. As Matt Cutts pointed out in a recent guest post about the decay and fall of guest posting. Matt Cutts has cautioned over the use of guest blogging as a link building strategy. It may happen that some link builders may approach sites high in page rank and abuse them by sending free content with links to the webmasters. Many webmasters often fall in the trap of free content and post the low quality articles on their site. Do all Guest Posts Count as Low Quality? No, all guest posts do not count as low quality. If you are an expert in your field and post articles related to your niche without the sole purpose of building links to your site, then you are completely safe. Google's spam chief, Matt Cutts faced a question from one of the webmasters where it was asked that whether Google uses different algorithms for ranking webpages at different positions? 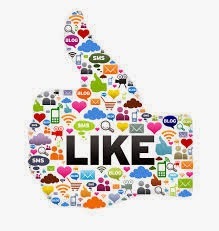 These can be signals like freshness, backlinks or social popularity. Matt Cutts clearly answered this question with a straight NO. Google uses only a single algorithm in order to sort the hundreds or probably thousands of search results as per the "relevancy" and "reputability". How Coca Cola, Disney and Red Bull Made the Most of their Social Media Marketing Efforts? In this post, I will highlight the marketing activities which the top brands like Coca Cola, Disney and Red Bull are using in order to give a boost to their social media channels. Let's discuss about the brand performance on top 3 channels which are Facebook, Twitter and Pinterest. 1- Note the description of the page. It says "The Coca Cola Facebook page is a collection of your stories." This is creative marketing at its best form. If people think they are posting and sharing for a brand they will share less but if they think they are sharing for their own selves, they will probably share more. Coca Cola has made an awesome relationship with their fans that gets reflected on their Facebook page. 2- The profile picture (which keeps on changing) creates a positive impression for the brand and helps to increase even more likes. 3- The photos section is full of high quality images that makes people connect with the brand. Images play a great role in Facebook and helps to increase social share and post share life. 4- Coca Cola also maintains an app for every trending events. People like to engage and apps are an awesome way to increase this engagement. 5- Freshness of post is also an important factor in increasing engagement. Interestingly, fans of Coca Cola post on the page on a daily basis instead of the page editor. This is what can be called as "brand love". 1- Coca Cola regularly shares photos and videos in order to grab the attention of the audience. 2- The freshness factor is amazing with Coca Cola sharing tweets almost on a daily basis. 3- The engagement factor is great and the tweets are being retweeted and commented by the people. 1- All the board created by Coca Cola reflects the brand values and not the keywords. 2- The shared images are unique, catchy and of high quality. 3- Every image receives a lot of user attention with repins and likes being a regular affair. 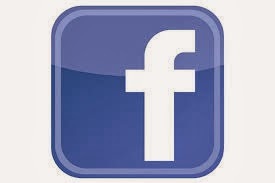 Facebook- Walt Disney has around 46,081,069 likes in Facebook. That is huge so let's analyze the secrets behind such a massive social media popularity for Disney? Why Disney is so popular on Facebook? 1- Posts shared by Disney receive a great visibility. The Facebook EdgeRank which Disney's posts receives is awesome. A single post has over 40000 people liking and more than 300 people commenting. Now, that is something really commendable. You can't buy likes, you have to get it through mutual trust and understanding. 2- Disney uses images for every post it shares and often adds quotes to its shares like “It is not what is outside, but what is inside that counts.” -Merchant, Aladdin. 3- It also utilizes the curiosity of its fans by asking straightforward questions like "Which door would you choose?" by displaying an image of the popular character "Alice in the Wonderland". The result- Fans answer it, like it and share it. 1- The profile page has been creatively decorated. 2- Disney tweets around 2 times in a day on an average. Some of the tweets contains pictures but not all of them. Disney needs to work a bit more to enhance the engagement on its Twitter profile. 1- Shared images receives over 100 repins and over 20 likes on an average. 2- Disney publishes some off topic content like "Delicious Disney" where creative recipes are shared apart from their favorites "Disney Quotes" and "Mickey and Friends". 1- Red Bull extensively uses hashtags in order to promote its posts. 2- The shared posts receives comments and likes. 3- Has an awesome collection of mobile apps including the popular Red Bull formula race app. These apps helps to increase engagement with the brand. Twitter- Red Bull has around 1337009 followers on Twitter. 1- Red Bull uses hashtags and images for all of its shares. 2- The images relates to the brand motto. Daring and adventorous images are shared which receives retweets and comments. 1- Red Bull has created daring boards which serves the passion of the people following the brand. Some of them are "Cars and Motorcycles", "Action Flicks", "In the Air", "Give Wiings to your Body" etc. 2- The shared images receives around 10 repins and 5 comments on an average. What's your social media marketing strategy? Share in your comments below. Russian search giant, Yandex has signed an agreement with Facebook that will enable it to get access to Facebook's public user data and posts. However, it will get access to public data of users from countries including Russia, Ukraine, Belarus and Kazakhstan only. Yandex is the most popular search engine in Russia with over 60% search market share and earns its revenue from text based advertising same as Google does. In order to increase its market share, Yandex has struck a deal with social media giant Facebook for displaying public user data along with user comments in its search results. This agreement is done on a mutual partnership with Facebook willing to provide access to its public user data in return for traffic it will receive from Yandex. In return, Yandex will improve the quality of its search results with Facebook posts. Let's see how well it goes for both Yandex and Facebook. The field of SEO and internet marketing has witnessed a tremendous change in 2013. Google has come out a long way in eliminating most forms of web spam. The Black hat SEO industry has been blown away. This was good for genuine inbound marketers and white hat SEO's. There is an increased demand of knowledgeable, creative, passionate, results driving SEO's and inbound marketers in 2014. Moreover, an increased pay is awaiting the SEO industry due to the increase in the quality of work. So, what are the special skills that SEO's will need to sustain in 2014. Here are the top 10 resolutions SEO's and inbound marketers need to take in 2014. Google has become smart enough to understand exactly what the user is searching for? The “Hummingbird” update coupled with the “Knowledge Graph” has provided brains to Google for identifying exact identities which the user is searching for or talking about. In 2014, playing with “keywords” will simply won’t give us the desired results. Google is looking for identities which it can trust and rely upon. Brands are set to rule the SERP’s. Promoting websites as brands will play a key role in increasing the visibility of a business on Google. Mobile will slowly take over the desktop search. Predictions are that the mobile market will overtake the PC market soon. Strangely enough, many of the SEO’s are still relying on the desktop data and making changes on their website accordingly. 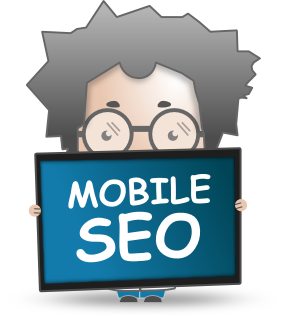 Mobile is the future and the SEO’s need to think on it seriously. Google has already started making big adjustments for catering the needs of its growing mobile audience which rely on “voice search”. Changes like Hummingbird update, App indexing, Smartphone crawl errors etc. are key indicators that Mobile SEO is set to take over the booming internet marketing field. Schema is a set of vocabulary that helps the search engines to understand the contents of a web page in a far better manner than without the presence of Schemavocabulary. Adding Schema data using RDFa or rich snippets enables Google to interpret the contents of a web page in a similar manner as a human mind will. It is because of this reason that Google has started to increase the importance of adding Schema Meta data on the web pages in order to better serve the users. Implementing Schema.org vocabulary lets you mark up the pages in a format well understood and preferred by the search engines. Major search engines like Google, Yahoo and Bing rely on the Schema data to read and understand the contents of the web page. Schema and rich snippets easily allows representing data in a well defined format for a variety of types like Event, Organization, Person, Place, Product, Reviews etc. As shown in the example below, about.com uses recipe Schema snippets to display recipe related information on the Google search results. Google can easily display this search result for people looking for salad recipes with cooking time 20 minutes. This is the power of semantic web powered by Schema. Backlink was and will be the single most important factor for ranking in Google. Year 2014 is set to witness more creative link baiting strategies than what it has seen in 2013. The old strategies of creating backlinks will not work more. Instead, all the focus should be shifted to enhance the user experience and to gain as many natural backlinks as possible. Earning backlinks is an art and it’s not so simple. You need highly creative people who think out of the box to do this task for you. It is for this reason that SEO services cost is set to rise in 2014 as more knowledge and highly creative staff is needed to understand the working of the search engines. The era of creating backlinks is over. Strategies for earning backlinks will stay here for longer periods of time. Some of the highly creative link baiting strategies like infographic, sponsorships, engaging content, PR sources etc will play a greater role in 2014. Content marketing has long become an inseparable part of any SEO strategy. “Content” is still the King. However, creating content which satisfies the demands of both the users and the search engines will be needed. Content focused around keywords will not do any good. Instead, semantically created content, keeping in mind the TF-IDF score and use of Schema vocabulary are set to perform far better in the search results as compared to normal content. User friendly content which generates a lot of genuine social shares and comments are more likely to be visible in the search results. Social will be on a boom in 2014. Search engines will include social signals even in minute ranking sub factors. Hence, leaving out social media in your SEO strategy will be a big mistake. More enhanced and brand focused social media plans are required to grab the attention of people as well as the search engines. Google has plans to focus on the identity relationships and social is the perfect platform to identify and compare the factors associated with relationships. High social share metrics like those of Facebook, Twitter and Google Plus will have an increased importance. Technically more skilled SEO’s are needed in 2014. Gone are the days when only prediction can impress the clients. With the client’s becoming technically more knowledgeable, SEO’s need to stop predicting and start testing what works the best for a brand. Efficient and advanced use of Google Analytics is needed. A/B Testing - In this type of testing, we create one or more variations of our original targeted page and run an experiment displaying the original page as well as the variants to a certain specified percentage of audience. This helps to identify which page (the original or the variant) is leading to more conversions. After the successful completion of the experiment, a winner is decided and we make changes on the site accordingly. Multivariate Testing- This type of testing is similar to A/B Testing, the only difference is, multivariate testing allows to track the individual elements on a web page that are leading to conversions. For example, a button, a piece of text, a video, an image, all these can be tracked to identify which element on the page is leading to more engagement and conversions. Instead of just checking the traffic and doing nothing, SEO's should start running experiments that will help them to receive even more conversions than before. SEO’s need to start thinking more semantically in 2014. The big G has already started thinking semantically and the SEO community is smart enough to predict where Google is moving in future. Semantic Web SEO should start the habit of thinking semantically in the same manner as Google might be thinking while processing the user queries. Semantics is the branch of linguistics that is concerned with meaning. It can be of any type like lexical, statistical, structural, prototype etc. The semantic web makes use of components like the Resource Description framework and the RDF Schema for revealing the meaning of the data mentioned on the web pages. Schema stands for data about data and schema vocabulary like the microdata, microformats and RDFa are all parts of the larger Schema. The Facebook Open Graph Protocol also comes under semantics helping to link the contents of a website with the social media world. Rich Snippets- As opposed to the normal text snippets that we normally see while searching in Google, richsnippets allows businesses to present the webpage snippet in a more informative way like adding ratings/ reviews’ cooking time, event date etc in the search snippet itself. Interestingly, brands that have started displaying “rich snippets” in the search results have witnessed an increased Clickthrough rate (CTR). SERP future is rich snippets and these can be implemented by making use of any of the 3 types of mark up formats namely Microdata, Microformats and RDFa. 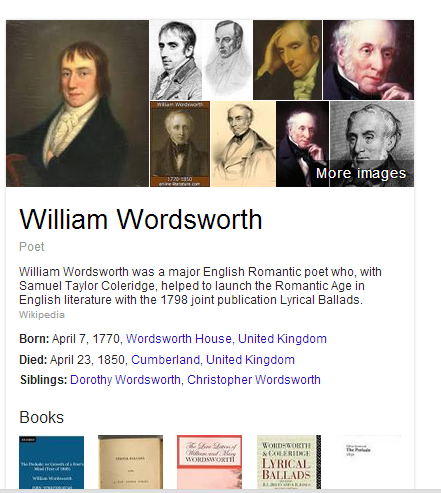 Authorship- Google Authorship was amove by Google to move from anonymous web to named web. This was done to reduce spam on the search results. Websites need to add authorship mark up and specify an author of the entire website or individual webpage. This will help Google to identify the person behind the web page and rank that web page as per the “Author Rank” or “Agent Rank” of the author. This is one of the ranking factors that Google has already started using and will continue to test more in 2014. Consider the example displayed below. Authorship actually helps to increase CTR’s. Brands missing authorship must implement it as soon as they can. However, it’s worth mentioning that Authorship is one if the ranking factors and not the only factor that Google counts, so do not expect to see increase in ranking just by adding authorship markup. Also, recently, Google has decided to display only a few authorship results thereby indicating that spammy author mark ups will be ignored in 2014 and ahead. Web pages that had high quality comprehensive content in them, including high social signals and positive user comments are displayed often in this new section. SEO’s must analyze their strategy in order to display any website under this section. QDF Factor- Ever thought of getting extra hits to your website by utilizing the QDF factor. QDF stands for “Query Deserves Freshness” and is one of the biggest factors for ranking websites with respect to fresh queries which gains trends in a single day or a week. SEO’s can make use of these short trend high traffic queries to transfer some extra traffic to their site. This factor is still underutilized by the SEO industry and the coming year can witness more experiments and changes so the marketers need to be prepared for that. 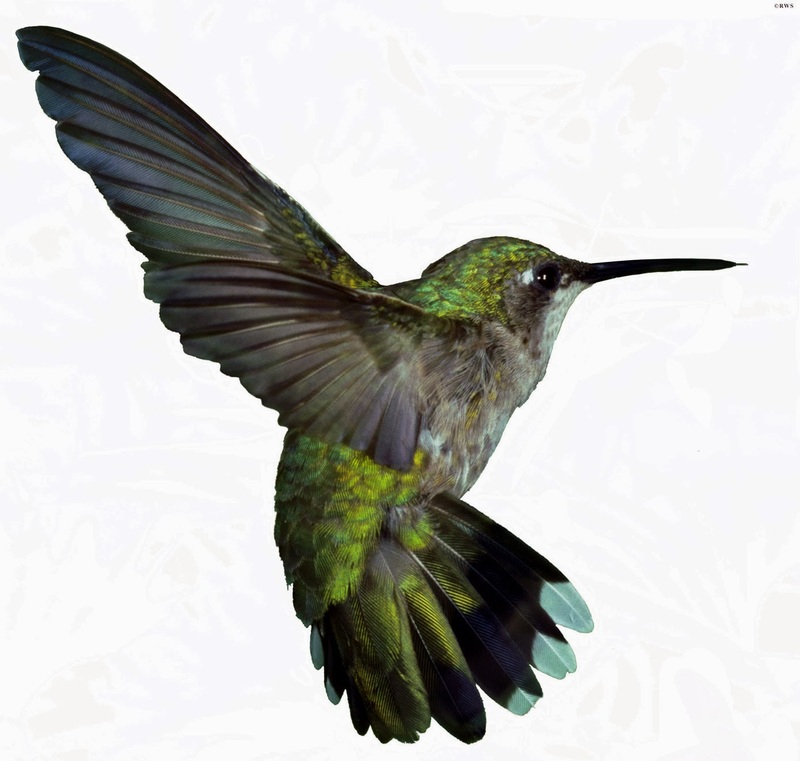 Knowledge Graph- The main brain behind the working of Hummingbird is the Knowledge Graph. It is a collection of real world identities and their relationships. Queries which involve identities of any kind are processed by Google with the help of Knowledge Graph. A deeper understanding of Knowledge Graph is essential in order to identify how identity level processing is done by Google and utilize it for the effectiveness of brands. Local Carousel- The Google localcarousel is the replacement for traditional local listings. Carousel display local listings including customer reviews and ratings in a horizontal bar showing up to 20 results. For local queries, dominating carousels is what is required for an SEO. The factors which Google counts for displaying results under local carousel should be well understood by an SEO in order to get the maximum local exposure for the businesses. Box Local Results- This is a new kind of local result display by Google where it shows the local details of the business as added on the Google local listings. Not all local businesses get a local box display. It is dependent on many factors like presence of local business on local listing sites, customer reviews, accurate address, accurate phone number, business image etc. Making a local box result come out effective and positive in front of the customers should be the responsibility of the SEO. So folks, gear yourself up and start taking steps. Image Results- Google made several changes to its image search results display. SEO’s working on image search optimization need to upgrade their existing skill set in order to rank their targeted images on Google. Video Results- Google has already started to display video in the search snippet. Factors like relevancy of video, video sitemap, video rich snippets, social signals, comments etc all will play an important factor in the rankings of videos. Although Universal Analytics is still an advanced concept but it will get more common in the coming years. With Universal Analytics, you can start tracking almost anything and because of this ability, businesses will find Universal Analytics a great tool to measure the behavior of their customers on all fronts. SEO’s need to track and identify the customer needs and make changes on the website accordingly. Universal Analytics needs an upgrade which is a two step process but considering the customized benefits it can offer to any business, it’s worth implementing. 2- Using the Mobile SDKs v2.x and higher for tracking Android and iOS. 3- Using the Measurement Protocol for tracking digital devices. Universal Analytics is the future, the sooner you try your hands on it, and the better it is for your career. This is a wakeup call for all the folks associated with the internet and digital marketing industry to take these new resolutions in 2014. This will ensure a greater prospect for their career in the future years.